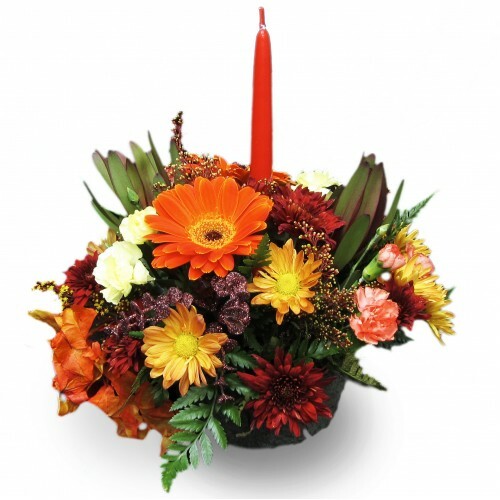 This whimsical little arrangement would make the perfect centerpiece to impress mom at Thanksgiving .. 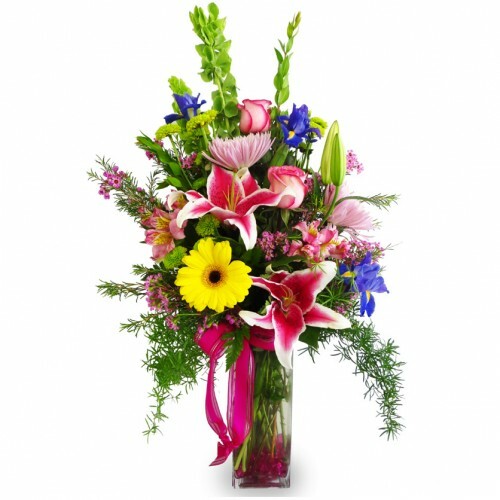 This beautiful arrangement is guaranteed to bring happiness to any home! 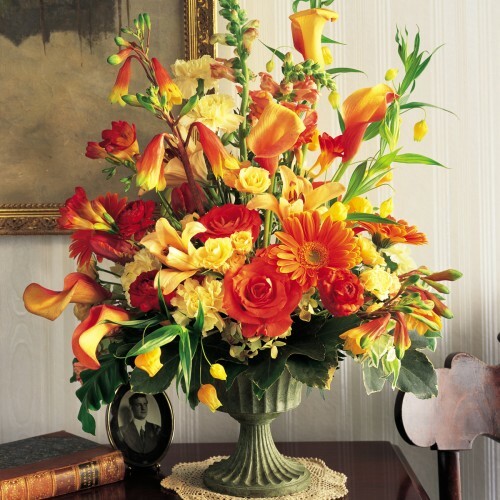 Stargazer Lilies, Tulips, a..
Less is more with the “Simply Fall” arrangement. 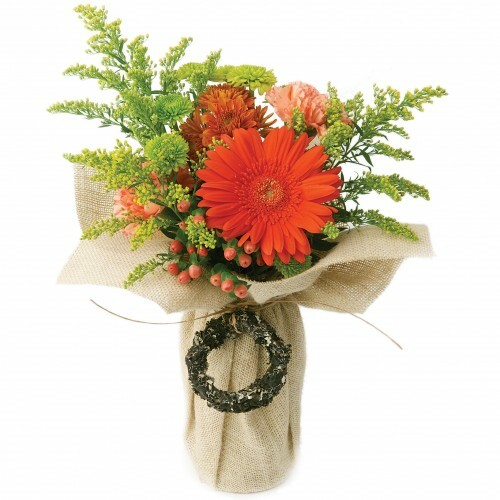 Gerbera Daisies, Cushions, Buttons and Carnations a.. 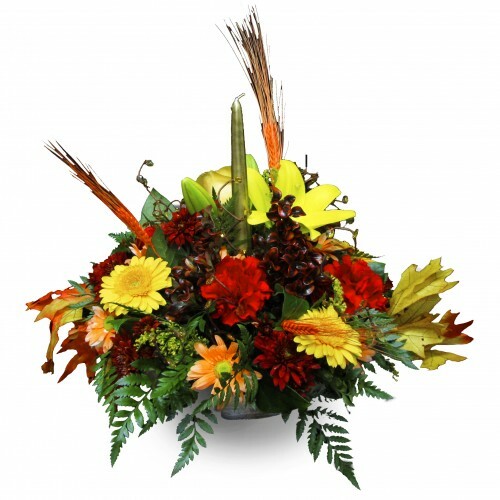 Nothing captures the essence of Fall like wheat. 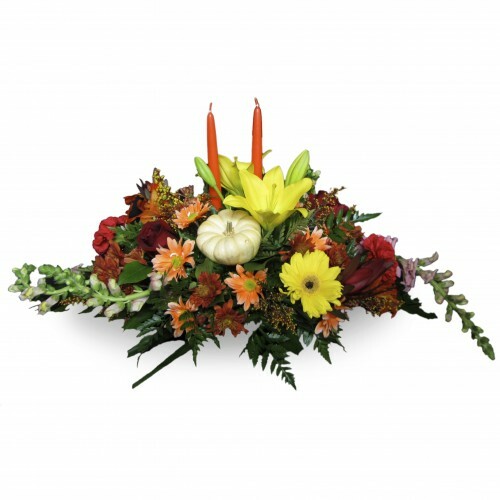 That’s why “Wheat Centerpiece” makes the perfect ac.. 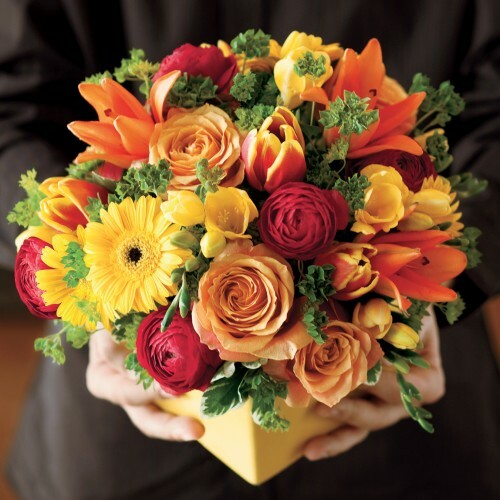 Autumn Beauty is the perfect arrangement to take her breath away. 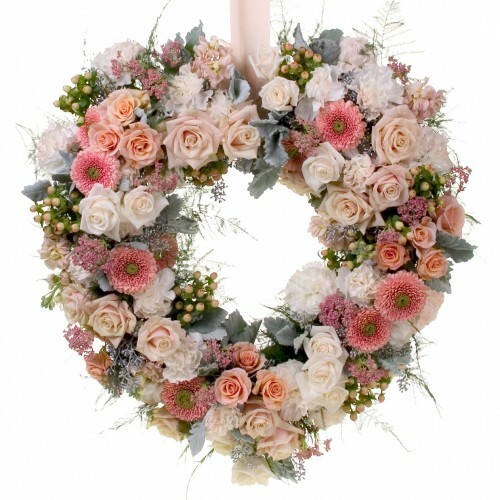 It’s stunning array of five Roses,.. 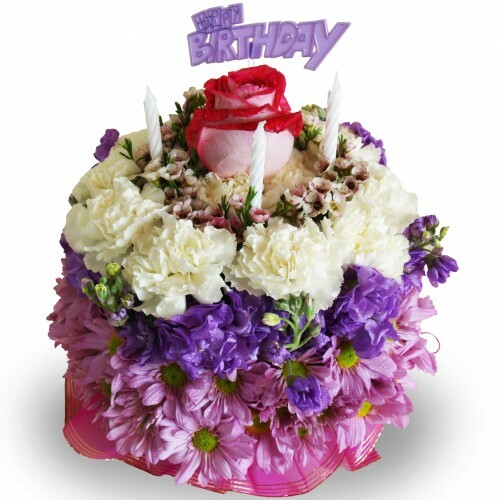 There is nothing more unique and original than a flower cake! 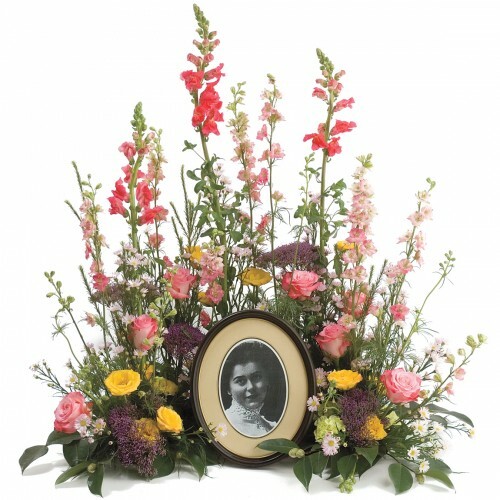 No, we aren't talking about eating a c..
Say your loving farewell to your loved one by embracing their portrait with our "Comfort and Memorie..
Our "Dainty Daisies" centerpiece celebrates all things lavender! 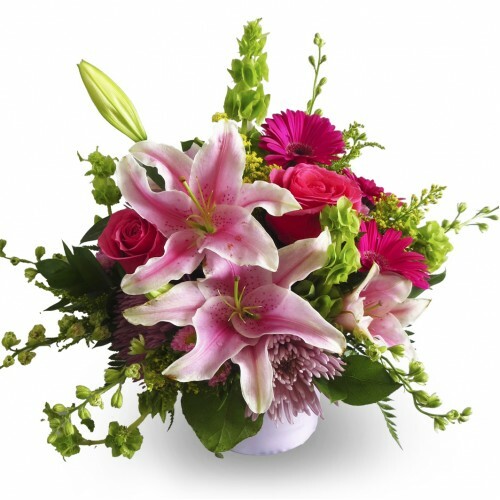 This arrangement is the perfect acc..
Give your mother a taste of beauty with this charming arrangement, including a wide array of spring .. 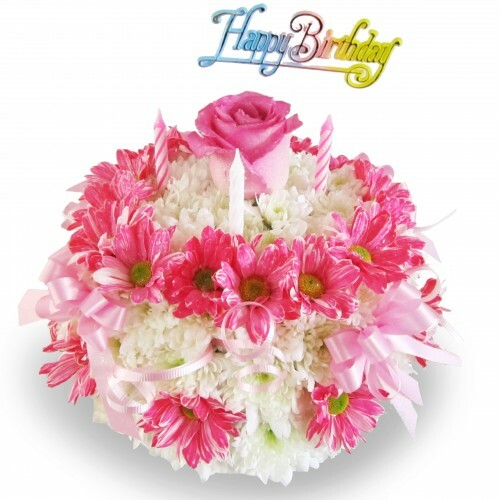 If our flower cakes don't seem appealing, then try "Bright Wishes"! 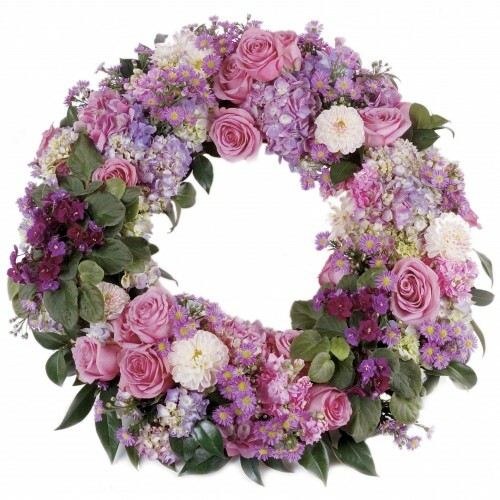 An arrangement made of yell..
Our "Circle of Life" celebrates the life of a loved one with our flourishing design of spray roses, .. 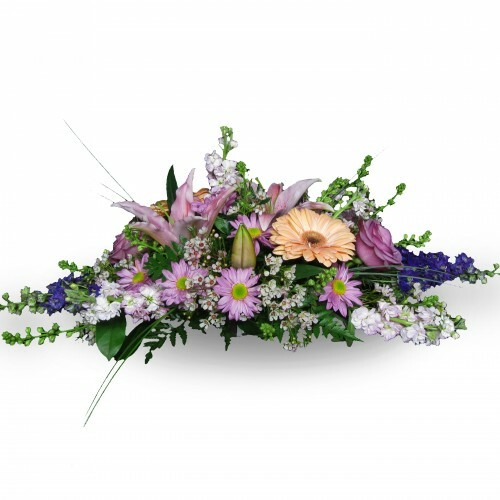 This brilliant collection of Stargazer and Tiger Lilies, Gerbera Daisies, Cushions and Snapdragons s..
Express your love for mom with this adorable bundle of lillies, roses, and gerbera daisies comforted..
Our "Splendid Beauty Heart" takes a whimsical appraoch to a funeral piece. 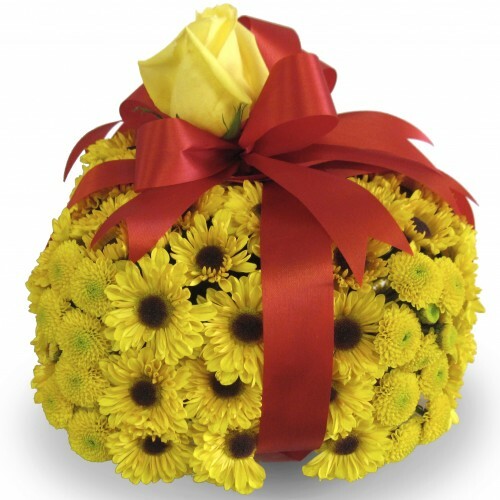 Our designers craft each ..